Did you know that over 40 million women (that’s 1 in 4!) suffer from hair loss? 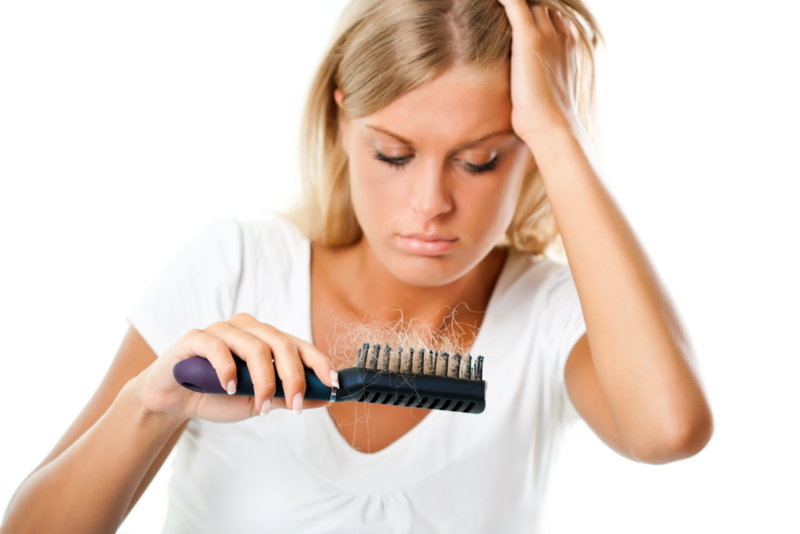 In fact, studies show that by age 60, 80% of women will have noticeable hair loss. Do you fall into this category? Don’t despair! Here at Salon 554, we have a solution that can turn your life around! Sound enticing? We use the Evolve Volumizer to help our clients who are dealing with fine or thinning hair. This is a unique, wearable solution with a poly-mesh base that is lightweight, comfortable, and self-molds to the head. It is completely flexible, non-damaging, and allows the scalp to breathe. The Volumizer comes in four different styles: medium, heavy density, and invisible part, three different textures: body wave, silky straight, and relaxed body, and 38 different colors! We are guaranteed to find a volumizer that fits your style and hair color to create a beautiful new look. Each volumizer is prescribed and customized to meet your needs and wants, creating a natural and beautiful look unique to you. This is a chemical-free hair loss solution that requires low maintenance and moves and feels like your real hair. Don’t let fine, thinning hair keep you from looking your absolute best. At Salon 554, we perform all of our Evolve services in our private Evolve suite, away from the salon floor, for our guest’s comfort and privacy. If you think Evolve Volumizer might be right for you, call us at (503) 540-0554 to schedule your free consultation today. Or if you’re in the area, come visit us at 554 Ferry St. SE, Salem, OR 97301. If you prefer, use our online booking tool, or use our mobile app to instantly make the appointment that suits your schedule. Download the app for free from ITunes, Amazon, or Google Play.